The Malabar Squirrel isn't native to the United States. It looks like Bullwinkle forgot to tell Rocky to go easy with the crayons. 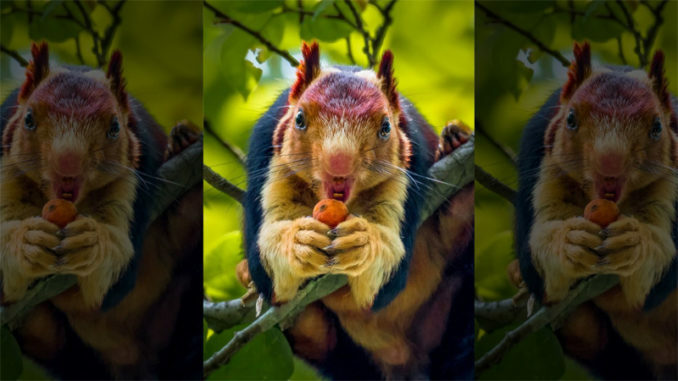 A photographer from India has captured several incredible images of the Malabar giant squirrel that have gone viral after being posted to social media. The squirrel, known for its multicolored fur and its large size, became an internet sensation after 39-year-old Kaushik Vijayan took the pictures deep in the forests of India, capturing the animal in its native habitat. The amateur photographer, who works in finance in Saudi Arabia, said he was astonished by the appearance of the multi-colored squirrel, as were his friends. “It was when I shared some of the photographs on social media many of my friends and followers came to know about the Malabar Giant Squirrel and they were all amazed by its appearance,” he said. 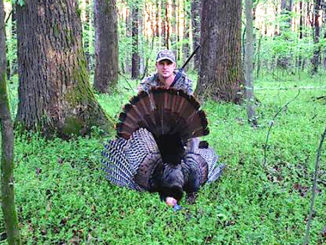 “Up until that point I had never heard about a squirrel like that or seen one,” he added.